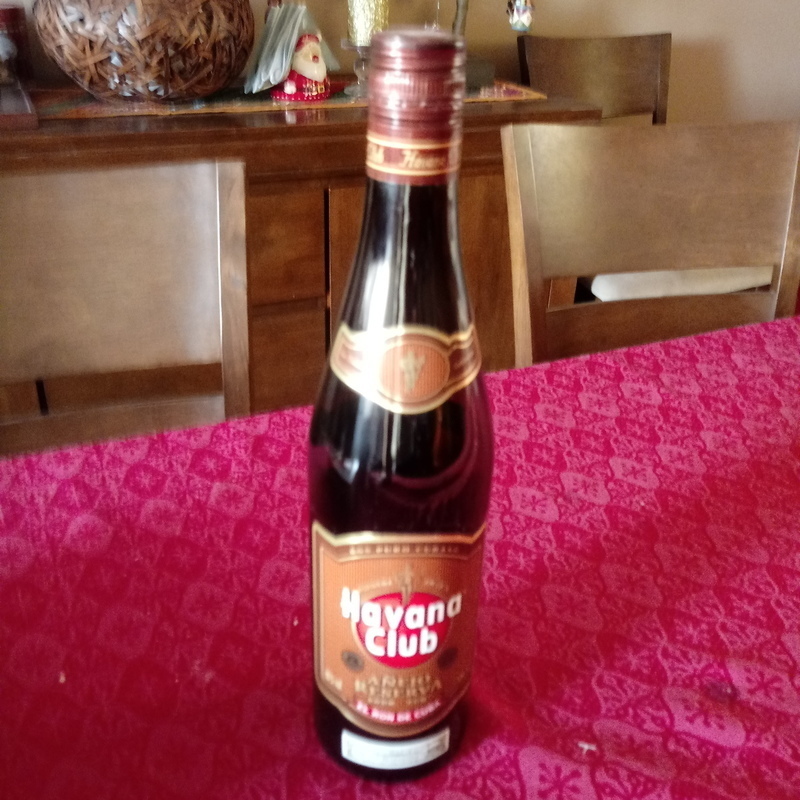 Have you found an online vendor selling Havana Club Anejo Reserva? Havana Club Añejo Reserva Rum is aged five to six years. This rum was not originally intended for public consumption but reserved for Don Navarro, the head master rum-maker for Havana Club. This rum is one of eight produced by Havana Club in Santa Cruz del Norte, Cuba. Hope this becomes available in the United States soon. Too bad it will have to be renamed due to copyright issues. However this is a very good rum with some sweetness to it and a nice flavor. A little harsh and quite the immediate burn. Awesome in mixed drinks, especially frozen ones with a little 151 floater on top. Also makes wonderful rum punches on the fly. Its a good rum for the cubas libres, but I could be a better rum. Nope, this need serious improvement. Too bitter and less taste for my kind. The best mixer of all the Havana range. Had an xMas party and we had this, the 7, especial, ritual and barrel proof. The Reserva is the one the we all went back to and was finished off in no time. Crazy cheap in Cuba as well at about £4 a bottle. Not a great sipper which is why it probably scores low on here but there's nothing better than this with a splash of cola. Nice dark rum for cocktails or even as a ”shot” Price difference to 7 years old is so small that I would rather got for the 7. This is a decent mixer and perfect for Coke and a slice of lime over ice. Like its 3 years brother this one this one shines as a mixing rum. If you sip it you will notice complex tastes. Its not too spicy. Sugar: 0 to 5 gpl. Strong oak taste and heat. Not smooth at all. Works okay as a mixer, but definitely not a sipping rum. There are better Cuban Rums available. Good for your simple and better cocktails. Not so suitable for a single drink. Not sweet. Full flavor. My favourite Havana Club . I expected more from this rum in this awkward bottle. But the content turned out to be equal to the form. Dull taste and bitter aftertaste ruined the whole impression. If you want a Havana rum club, better buy Especial or 3 year old. P.S. The description says that this rum was not originally intended for the public, but reserved for Don Navarro. Apparently Mr. Navarro tried this rum and agreed with me about his taste. Rum poured into hastily made beer bottles and thrown into the market. I last had a bottle in 2012, while on vacation in Zakhyntos - Greece. Unfortunately, I can't find it anymore, everyone just sells the 3, 5 and 7s. I was surprised by the blend of flavors, and a slight touch of sugar. It's smooth and if you add some coke and lime, or some red orange juice, you won't get enough of it. Like a Martiniquan friend told me: “you don’t need to add syrup or juice/coke to a good rum”. This is how this rum is, it’s needs coke and a lot of lime to support it. It can be upgraded to a 7-8 star level rum in a mojito if you add home-grown raspberries and a tiny bit of apple juice and sparkled water. Nice sipping, good mixed with cold or a little warm water. Tomarlo puro imposible...pero probablemente la mejor opción para un sabroso Cuba Libre. Only for mixing & tastes like oil. Dont try it neat. Bon à boire avec du coke sinon siroter avec de la glace. Bu souvent avec du coke, rhum pour les débutants ou qui n'ont pas de standard élevé! Un ron que resulta agradable. Tampoco se puede pedir mucho por lo que se paga por él. Queda bien en los cuba libre y otros cócteles. Eso sí, ni hablar para tomarlo en las rocas. I like all HC rums, so I naturally tried this one as well. It's a small step up from the Anejo Especial that comes/came with a higher price. I like mixing with this one. Maybe even on the rocks - but not as my first drink. Not too bad everyday rum. Clearly a mixer rum. Base one, when the party is at his final and all other better rums bottles are empty. Difficult to rate this...I enjoyed it, but the more drink of this, the less I taste the unique flavour. This rum is full of flavor and one of my favorites. The aroma is what draws you in, but it’s the woody flavor when mixed with a cola that keeps me coming back.